Waylon Arnold Jennings (June 15, 1937 – February 13, 2002) was an American country music singer, songwriter, and musician. Jennings began playing guitar at eight and began performing at twelve on KVOW radio. He formed a band, The Texas Longhorns. Jennings worked as a D.J. on KVOW, KDAV, KYTI and KLLL. In 1958, Buddy Holly arranged Jennings’ first recording session, of “Jolie Blon” and “When Sin Stops (Love Begins)”. Holly hired him to play bass. During the “Winter Dance Party Tour,” in Clear Lake, Iowa, Holly chartered a plane to arrive at the next venue. Jennings gave up his seat in the plane to J. P. Richardson, who was suffering from a cold. The flight that carried Holly, Richardson and Ritchie Valens crashed, on the day later known as The Day the Music Died. Following the accident, Jennings worked as a D.J. in Coolidge, Arizona and Phoenix. He formed a rockabilly club band, The Waylors. He recorded for independent label Trend Records, A&M Records before succeeding with RCA Victor after achieving creative control of his records. 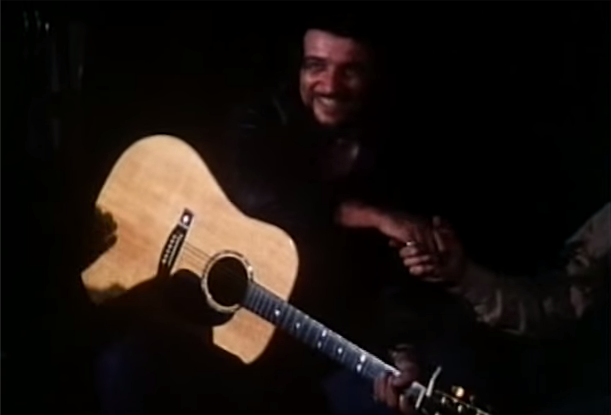 Waylon Jennings has done some wonderful Bob Dylan covers. 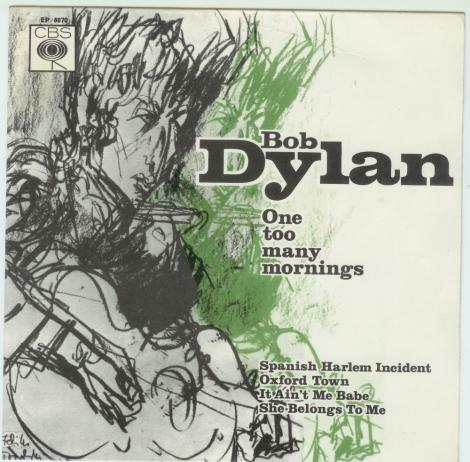 “One Too Many Mornings” is a song by Bob Dylan, released on his third studio album The Times They Are a-Changin’ in 1964. The chords and vocal melody are in some places very similar to the song “The Times They Are A-Changin'”. It is “roundup” time in Texas. In a ritual that has changed little since the times of “the wild west”, cowboys ride out twice a year to gather up the cattle and prepare them for the market. 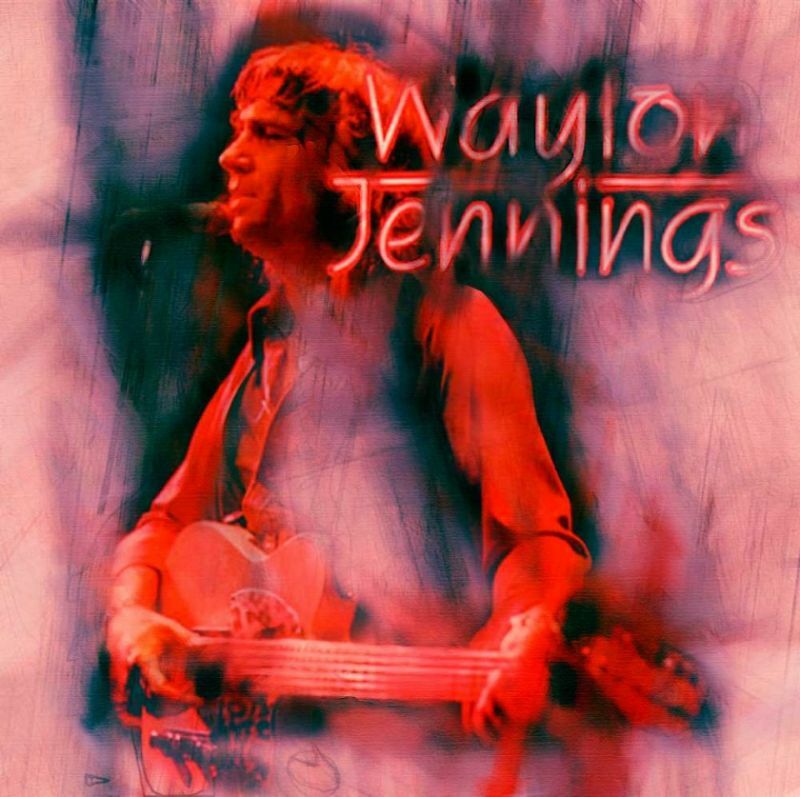 Waylon Arnold Jennings (June 15, 1937 – February 13, 2002) was an American singer, songwriter, musician, and actor. Jennings began playing guitar at 8 and began performing at 12 on KVOW radio. He formed a band, The Texas Longhorns. Jennings worked as a D.J. on KVOW, KDAV, KYTI, and KLLL. In 1958, Buddy Holly arranged Jennings’s first recording session, of “Jole Blon” and “When Sin Stops (Love Begins).” Holly hired him to play bass. During the “Winter Dance Party Tour,” in Clear Lake, Iowa, Holly chartered a plane to arrive at the next venue. Jennings gave up his seat in the plane to J. P. Richardson, who was suffering from a cold. The flight that carried Holly, Richardson, and Ritchie Valens crashed, on the day later known as The Day the Music Died. Following the accident, Jennings worked as a D.J. in Coolidge, Arizona, and Phoenix. He formed a rockabilly club band, The Waylors. He recorded for independent label Trend Records, A&M Records before succeeding with RCA Victor after achieving creative control of his records. During the 1970s, Jennings joined the Outlaw movement. He released critically acclaimed albums Lonesome, On’ry and Mean and Honky Tonk Heroes, followed by hit albums Dreaming My Dreams and Are You Ready for the Country. In 1976 he released the album Wanted! The Outlaws with Willie Nelson, Tompall Glaser, and Jessi Colter, the first platinum country music album. It is fascinating and educational with a fantastic soundtrack.